Shows "scrolling Pictorial / Continue", Artist Tony Camargo. Photo: Disclosure. Opens Thursday (19/09), at 19h, the Municipal Art Museum of Curitiba shows scrolling Pictorial / Continue, Artist Tony Camargo. The exhibition is curated do Carmo Arthur. Formed only for unpublished works in video, the artist reflects how the painting can be crossed by new technologies, gathering performance, videoart, cinema, installation and the very idea of ​​painting the same object. With free entry, show runs until 21 August. 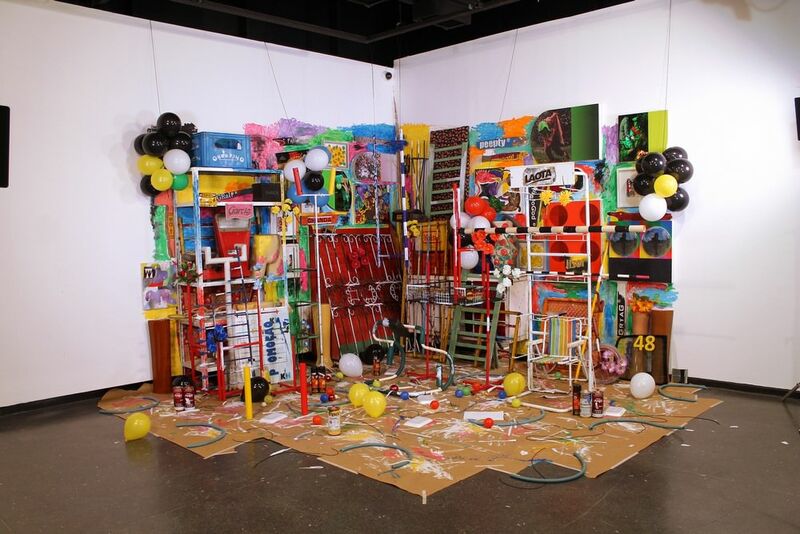 Using scenarios of everyday life, as deposits, junkyards, garages and the museum itself it happens the show, the MuMA, the artist recreates environments using the objects that belong to each of these places, so finding the pictorial vocation of common objects. To do Carmo curator Arthur, the shows, in addition to being a valuable exhibition of unpublished works, allow the public access to materials that are used in the artist's creative process. "For a long time I try to display these Tony process materials, because, despite being just too much information on their pictorial production, your tissues and platelets products that are not condense well the central ideas of the artist performs ", comments. The artist videos are short, last about 30 seconds or less. However, that shortly, many things happen. The show will also bring artists Daniel Acosta (RS, 1965) and Matheus Rocha Pitta (MG, 1980) for an open discussion with the public, in the days 20 and 22 July, 19h and 15h, respectively. The artist and art educator Juliana Burigo will also give a workshop for children over 6 years in the day 28 July, at 9:00. Registrations are limited and can be performed on site or by telephone 3329-2801. The project scrolling Pictorial / Continue It approved the State Program for Development and Encouragement of Paraná Culture, Profice, the Secretary of State for Culture, and received support from Copel. When: opening on 19/7, at 19h. Visitation: from 20/7 to 21/8. Tuesday to Sunday, from 10h to 19h. When: day 20/7, at 19h. When: day 22/7, at 3:0 pm. When: day 28/7, from 9am to 12pm. Registrations on site or by telephone (41) 3329-2801. Vagas limitadas. For ages 6 years.